If you are in Long Beach, California this weekend, there is an event that you should not miss. On November 15th at the Long Beach Scottish Rite Event Center-Ernest Borgnine Theater, in Long Beach, California. You can find all information about the event on the Native Harmonies facebook page. Shelley Morningsong (Northern Cheyenne/Dutch) has recorded three sensational contemporary Native American albums and has emerged as one of New Mexico’s finest Native performers. 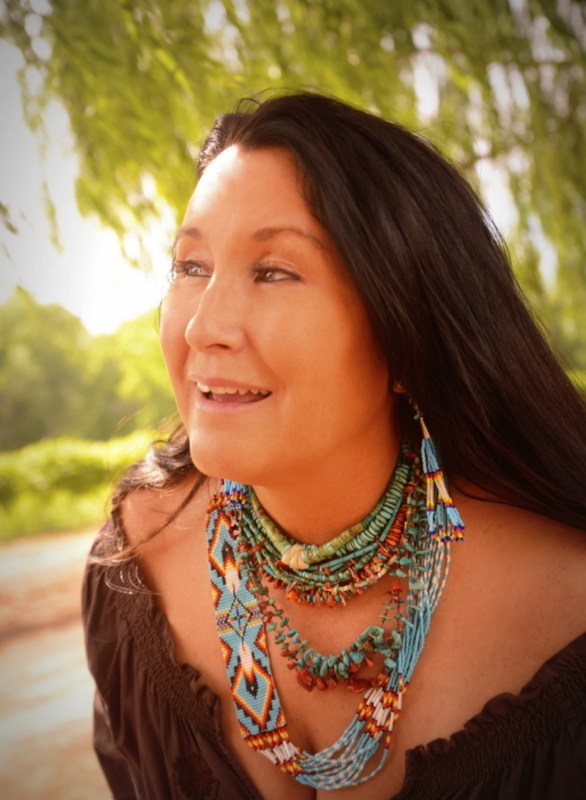 Among many other awards Shelley has received 2 Native American music awards and her album “Full Circle” was Native American “Record of the Year” 2011. Shelley has played guitar and classical flute since her childhood and she also has mastered the Native American flute, on which she performs passionately on some of her compositions. Shelley has been featured in several magazines such as Cowboys & Indians, Native Peoples and New Mexico Magazine to name a few. She tours nationally and internationally with the full band featured on her album “Full Circle”, which was skillfully engineered and produced by Grammy Award winner Larry Mitchell. Shelley just released a Christmas album which is available here. More information about Shelley and her beautiful music can be found on her website. 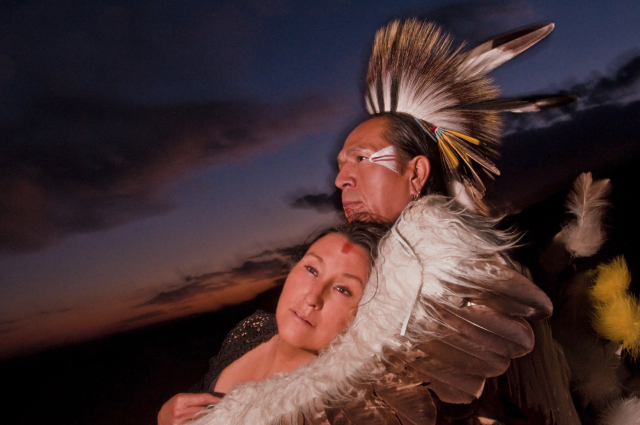 Shelley’s husband and musical partner Fabian Fontenelle is from the Zuni and Omaha Nation. He was born in Zuni Pueblo, New Mexico but he also has family in Nebraska. Fabian is the great-great grandson of the famed Chief Big Elk of the Omaha people. A performance by Fabian is a show in itself, a captivating display of ancient sacred songs, traditional northern plains style dancing, drumming and hand-crafted regalia adorned with the intricacy of hand-beading and more. Fabian is an original member of the “American Indian Dance Theatre”, and also provided master-work choreography and performances with two time Grammy Award winning artist Robert Mirabal on tour in “Music from a Painted Cave” which was also featured on PBS television under “Great Performances”. Both Shelley and Fabian have been touring members of the famous Robert Mirabal’s Musical “Music from a Painted Cave” feature on PBS Special Performance’s. Read more about Fabian and his music here. World champion Hoop Dancer and artist Lowery Begay will be performing in Long Beach as well. With his dance he will be telling the story of creation and you will recognize the earth, the sun, the moon and all kinds of animals, such as the eagle and the butterfly in the formation of his hoops. Lowery is from the Diné Nation (Navajo) and was raised on the Navajo reservation in New Mexico and Arizona. He grew up learning the traditional Navajo ways by his grandparents. Lowery is a professional Native American performer and artist. 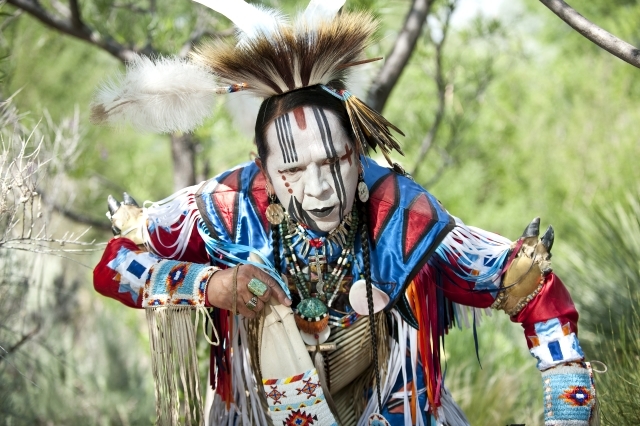 He has been dancing as a Hoop Dancer and Fancy Dancer most of his life. 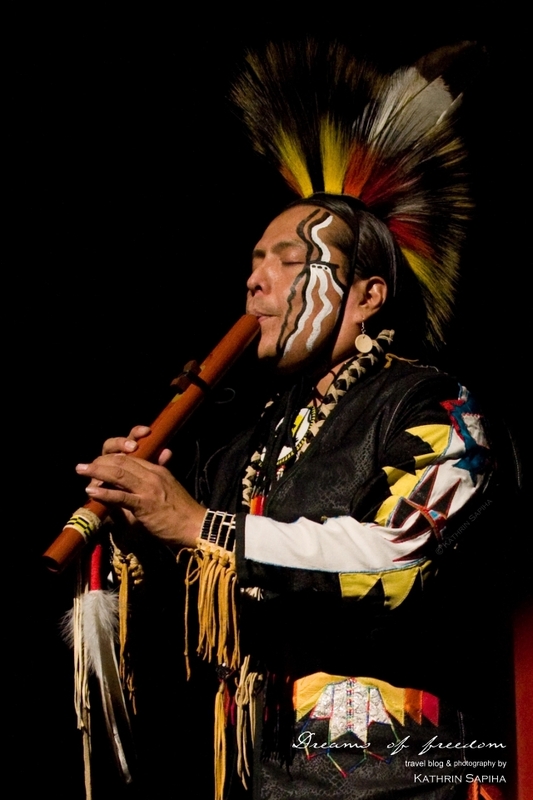 Lowery has been dancing, storytelling, playing the Native American flute, building drums and sharing his culture with people all over the world for many years. Japan and European countries like Germany, Austria, Switzerland, Italy, Norway, Belgium and Iceland are only some of the places he has visited. He performed in Ecuador with Robert Mirabal and was invited to the country of Jordan for a cultural exchange in summer 2012. For more information about Lowery, you can visit his website. I am giving away a music download to Shelley’s Album “Heart Songs”, which Shelley and Phobe gave me when I saw them last time in Germany this summer and the 4 of us had a wonderful time. The album contains beautiful and relaxing flute music. Perfect for meditation on cold winter nights or to dream away on a sunny beach. When you scroll down you can listen to her new Album “Love Medicine” on trial. Push play and enjoy. Come back here and comment below with the name of your favorite song! The giveaway ends on Friday, November 28th 2014, 11:59 pm. The winner will be announced on my facebook and Twitter account and also contacted via email. The giveaway is open to participants from all over the world. Since I won’t need your address to submit the price, the contest is open to all ages. When you are leaving a comment below you have to do so by providing a valid email address, since this will be my way to contact you in case you win. The prize has to be claimed within 3 days or a new winner will be chosen. The prize cannot be paid in cash and is exempt from legal procedures. Congratulations Dave! You will get Shelley Morningsong’s flute Album “Heart Songs“. I hope you will enjoy it as much as I do! If you missed the giveaway or didn’t win this time, subscribe to my newsletter and I’ll let you know about the next one. Shelley Morningsong has such a beautiful voice, and I found it difficult to to pick a favorite (her music is exceptional!). “Your Love, My Medicine Remix” is so cool (reminds me of Annie Lennox). However the spirit of “We Didn’t Ask Why” captured me, and is my pick as a favorite. It’s a beautiful song – modern, majestic & spritual. The lyrics captured me, too: “I decided to hit the road, one day…I heard singing like a long, lost melody.” As a musician, I’m drawn to music that inspires, such as this! “We didn’t ask Why” — that song is absolutely awesome!